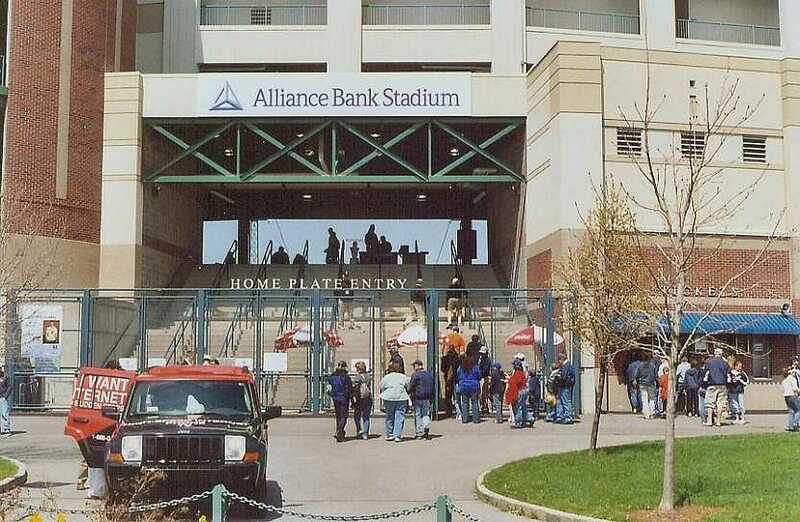 Alliance Bank Stadium, Syracuse, New York. 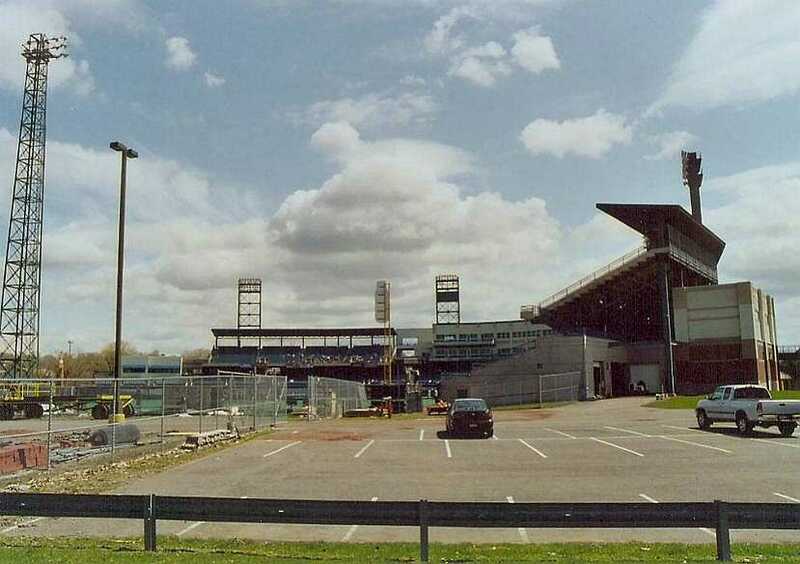 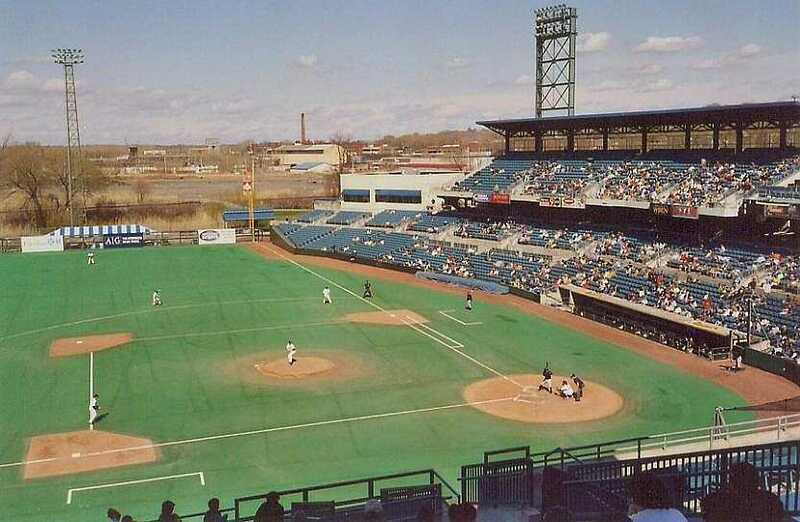 Home of the Syracuse Chiefs of the triple-A International League. 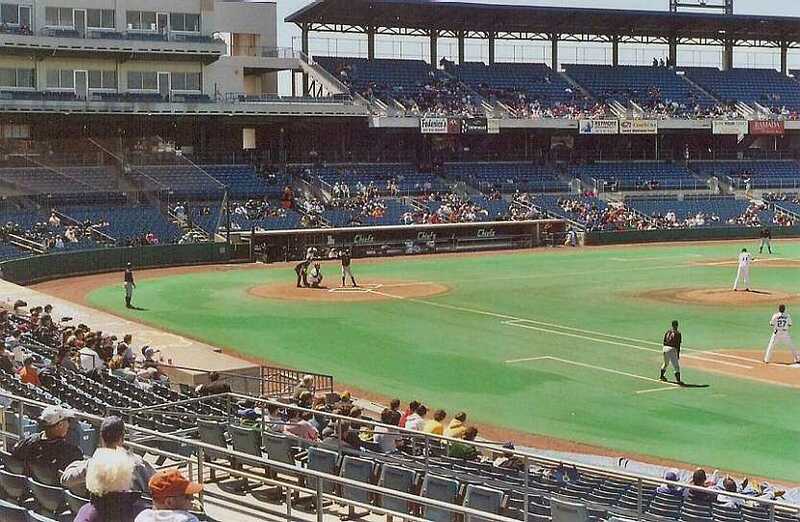 Stadium was opened in 1997. 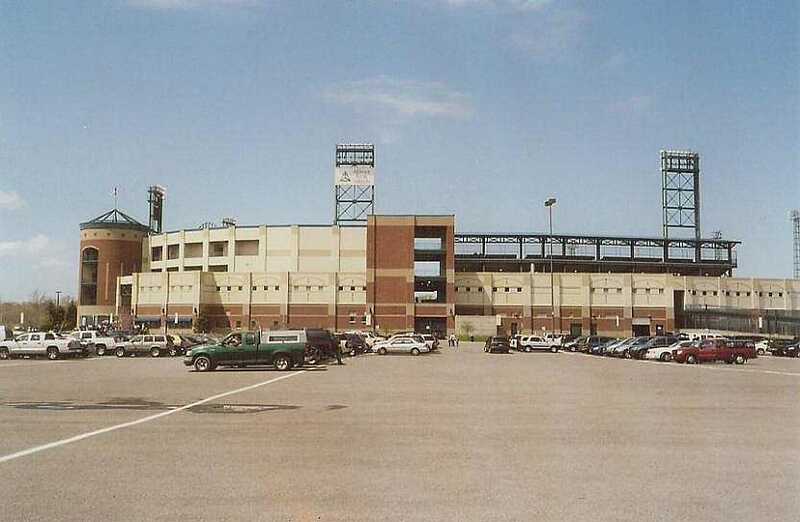 Originally named P&C Stadium, renamed for the 2005 season. 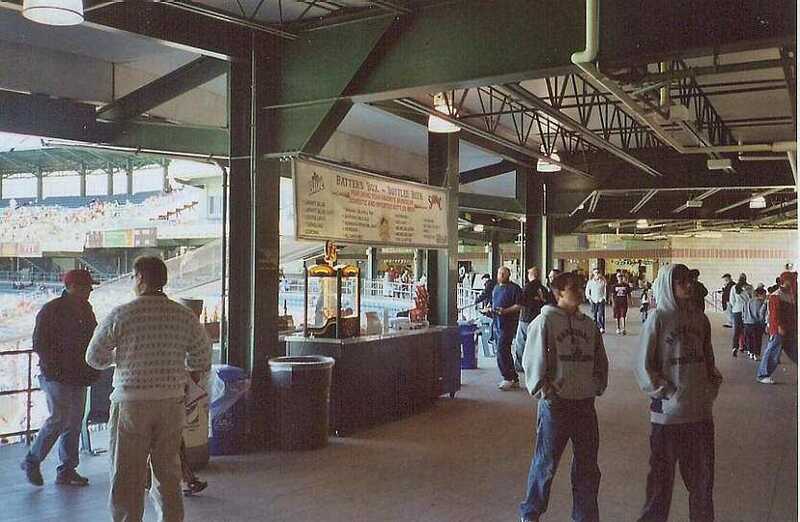 Concourse at the top of the Main Gate steps. 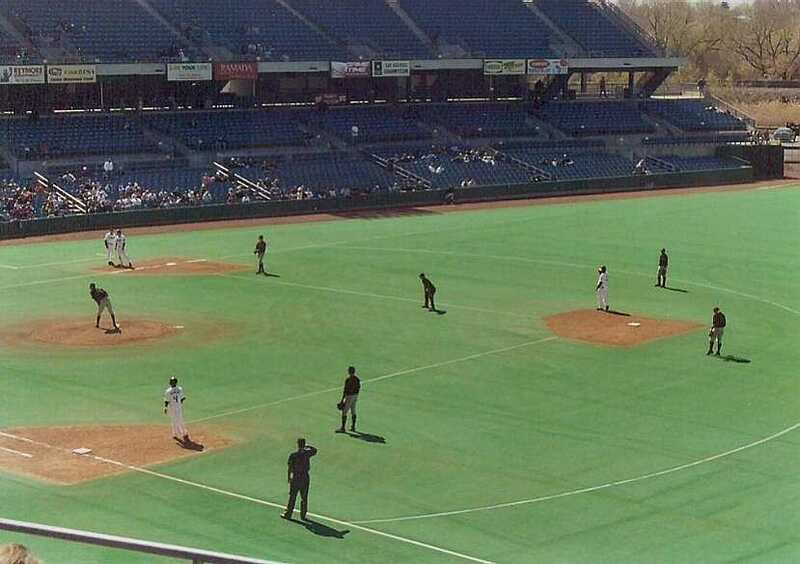 Playing field. 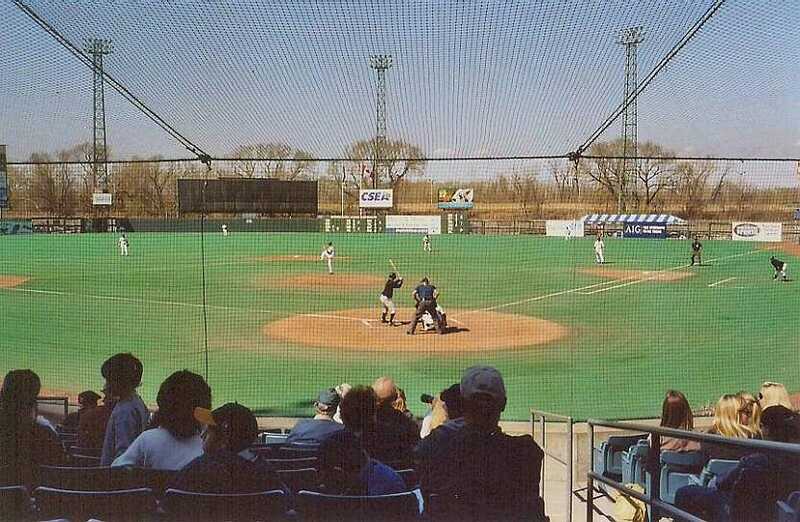 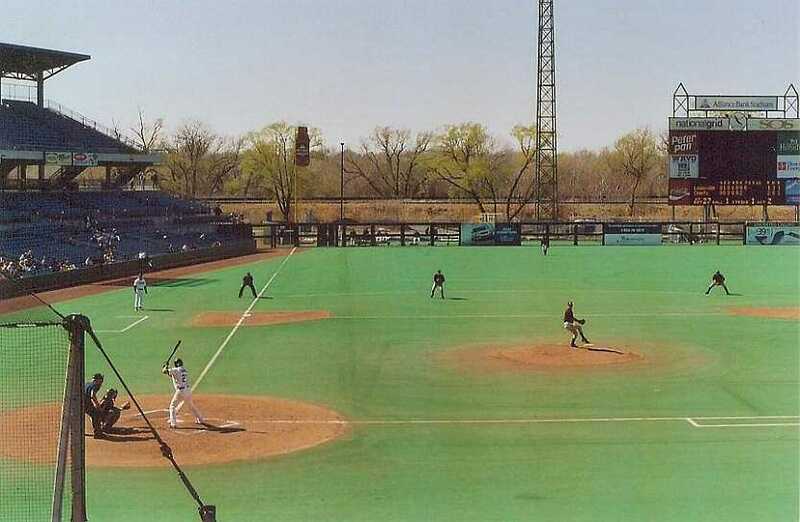 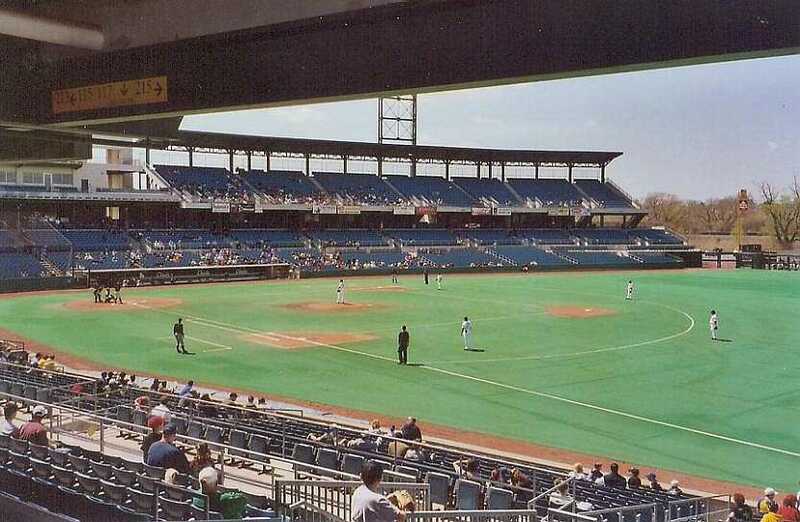 The outfield light towers were the ones used at MacArthur Stadium. 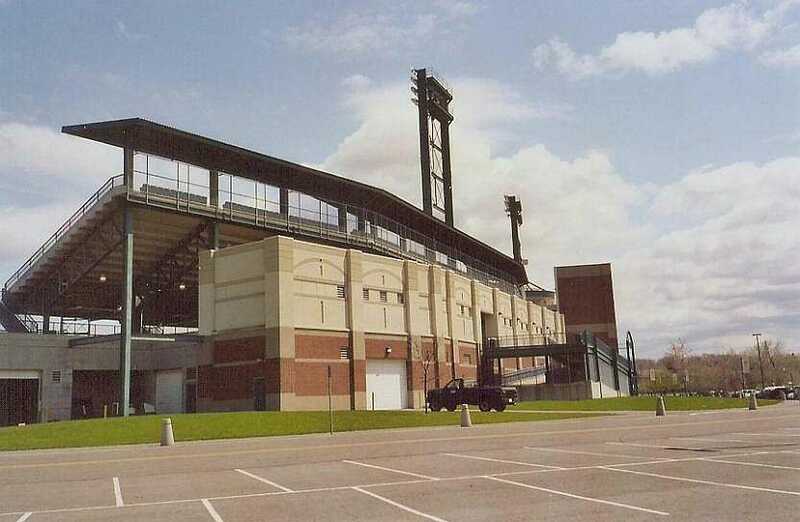 First base side of the stadium. 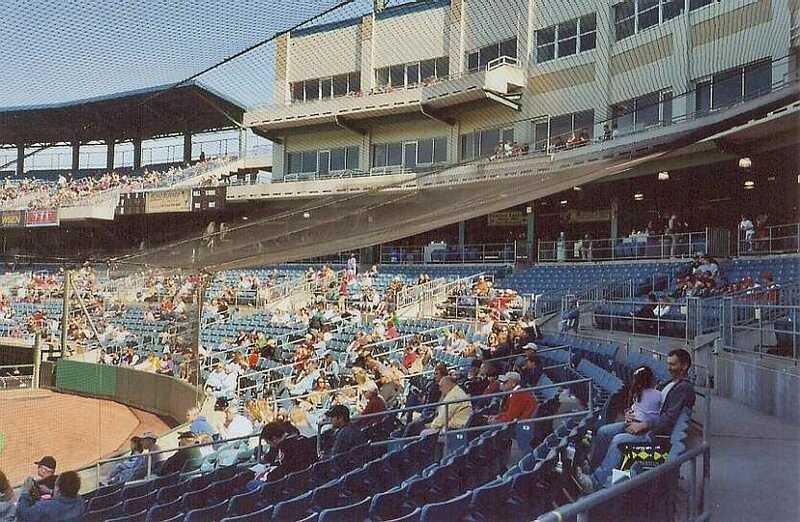 The home team dugout is on the third base side. 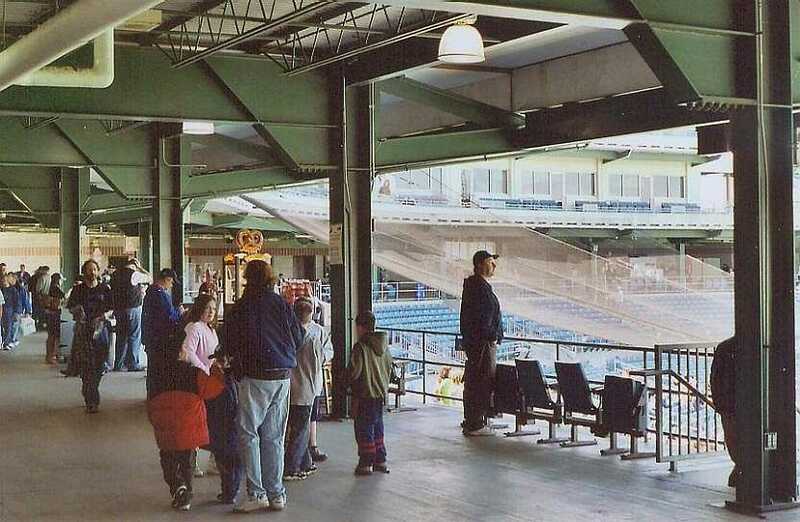 Luxury suites and the pressbox. 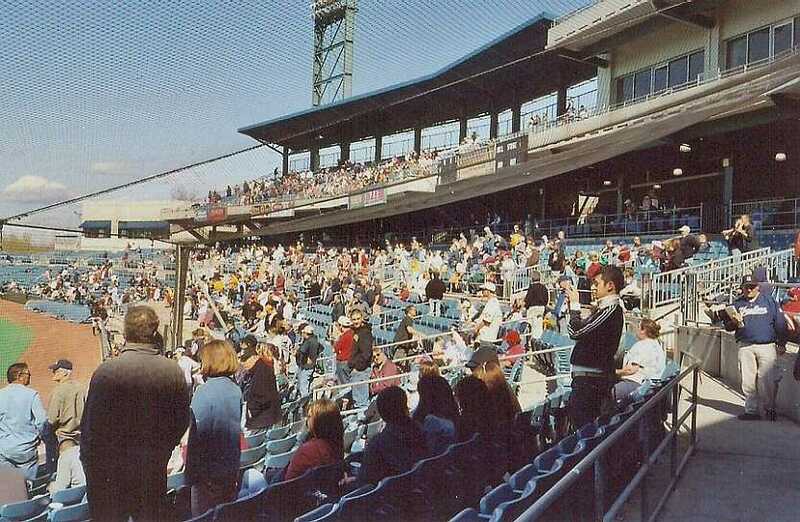 Center of the seating bowl, under the screen. 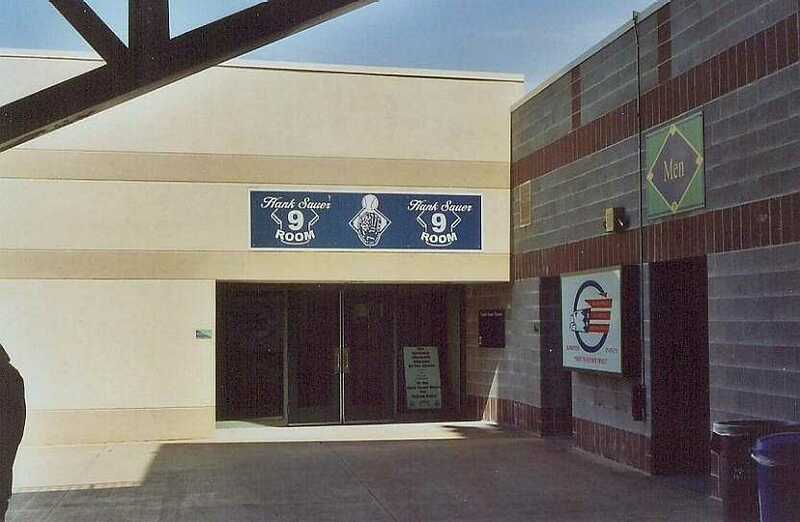 Steps from the concourse lead to the upper deck. 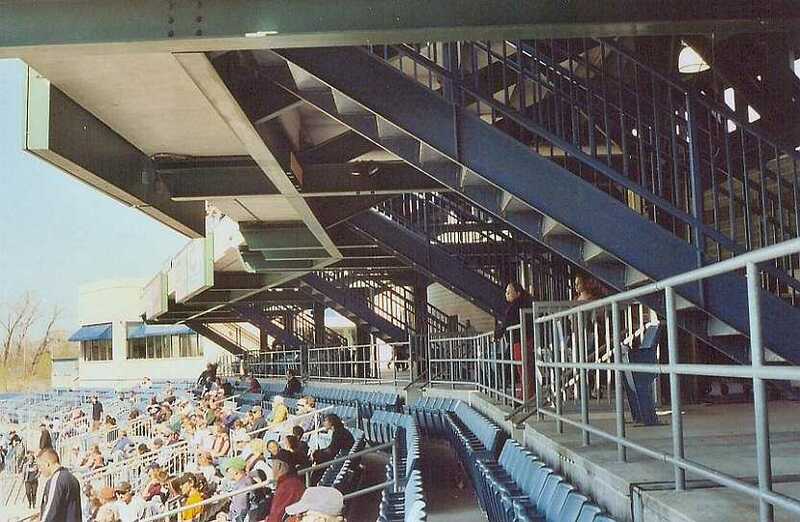 The upper deck overhangs a few rows of the box seats. 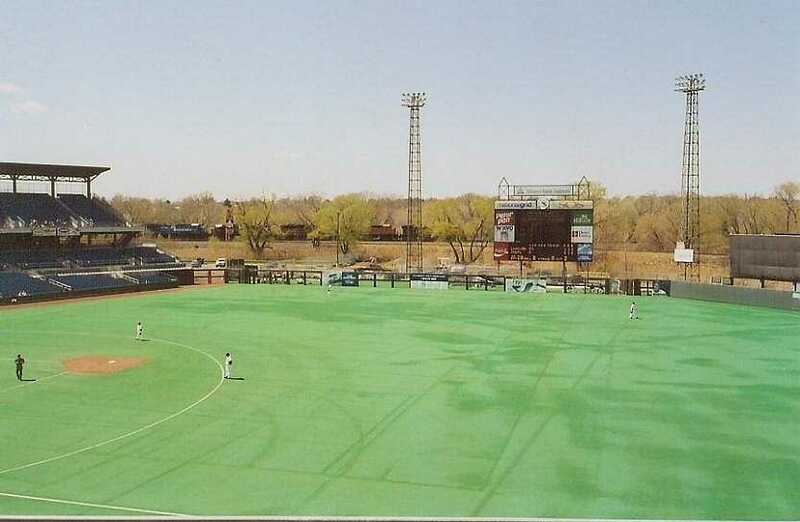 Trains pass by the outfield during the game. 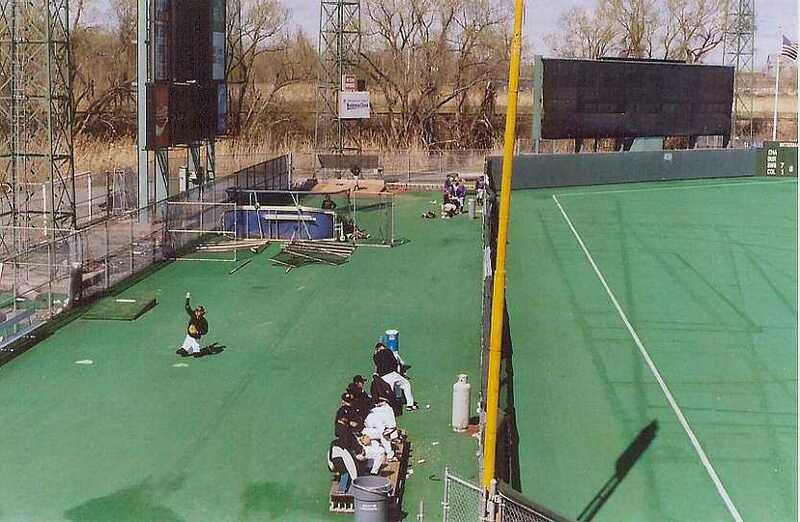 Both bullpens are beyond the left field fence. 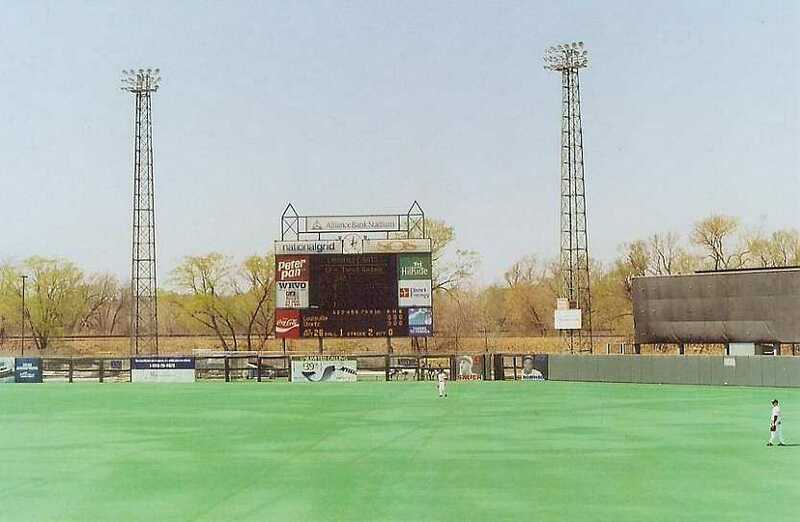 The scoreboard is behind the bullpens. 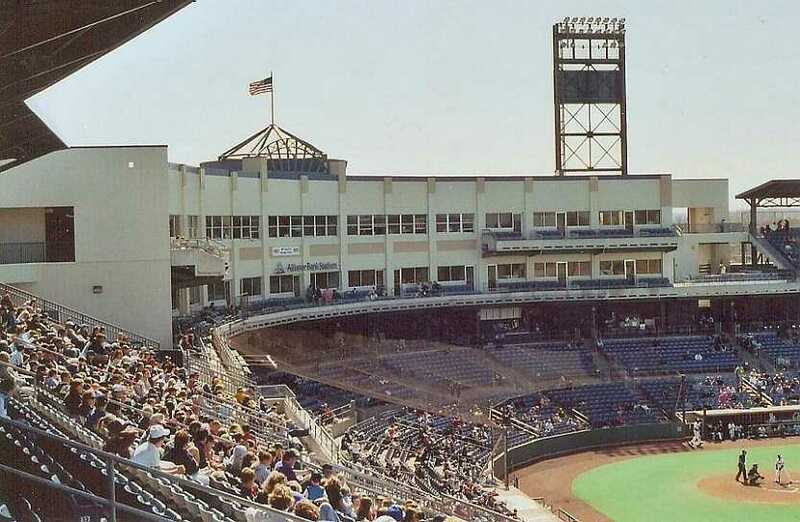 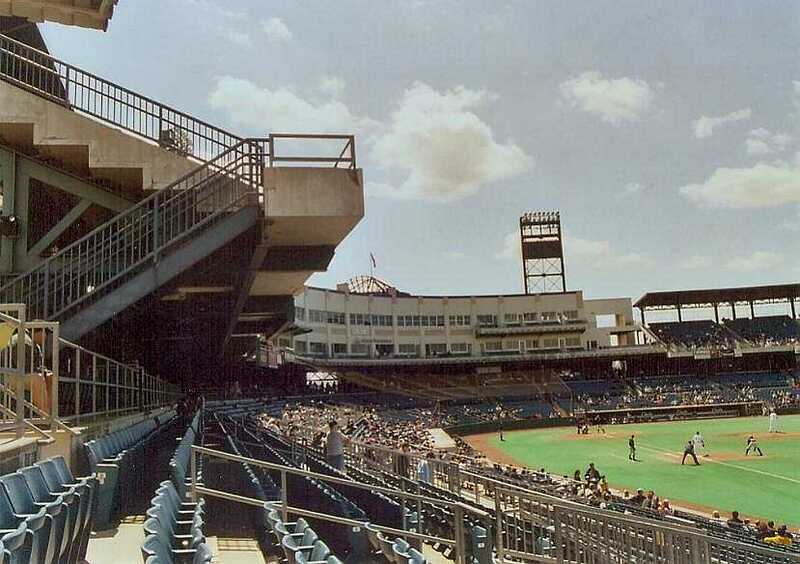 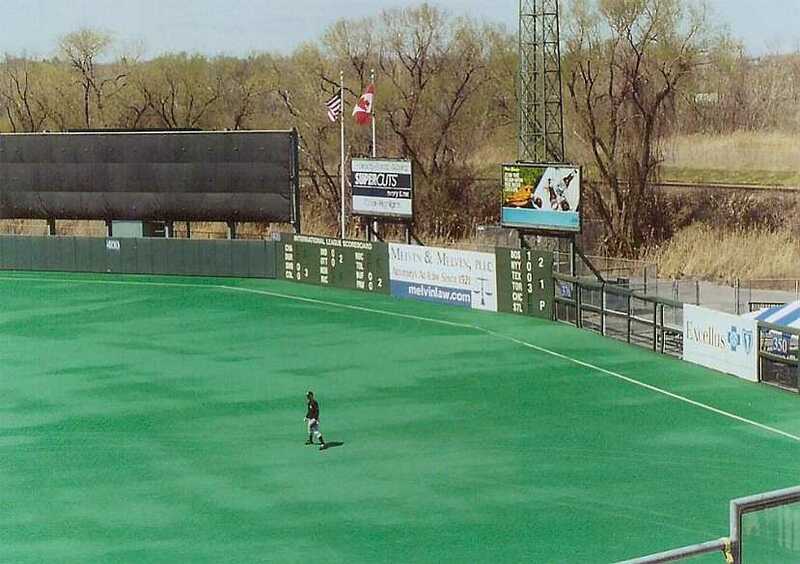 Current IL game scores are displayed on the scoreboard to the right of the batter's eye. 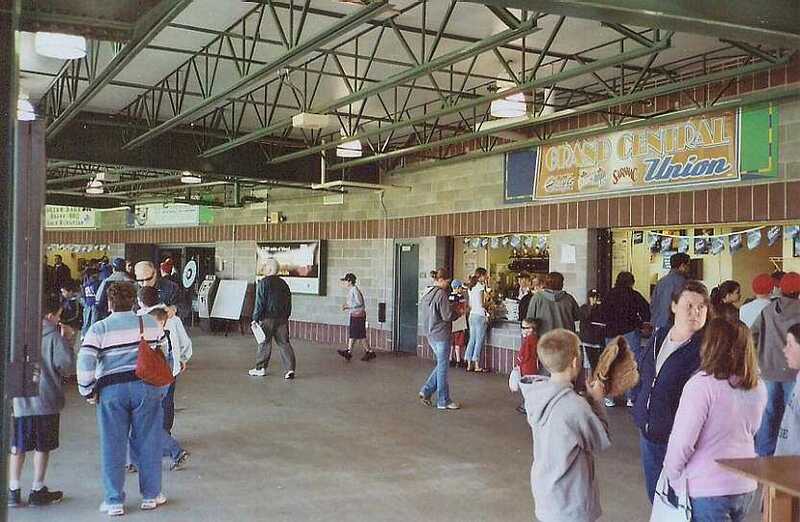 You can watch the game while waiting at some concession stands. 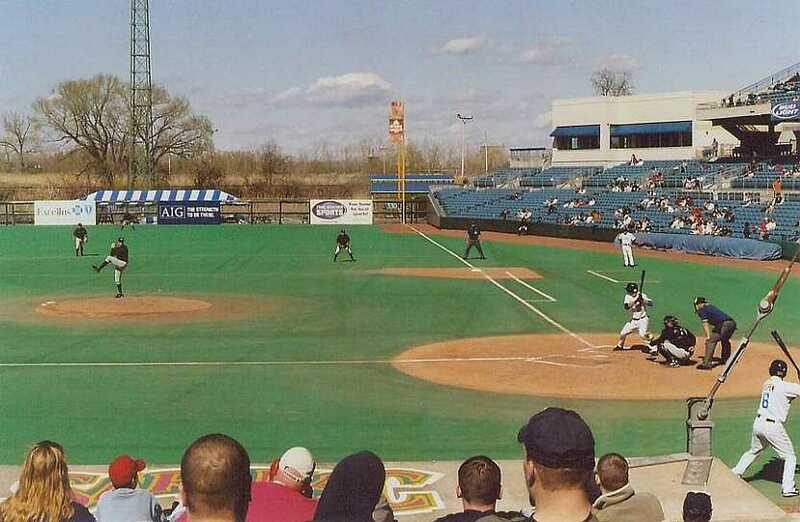 The stadium restaurant is named after Hank Sauer, a famous former Syracuse Chief. 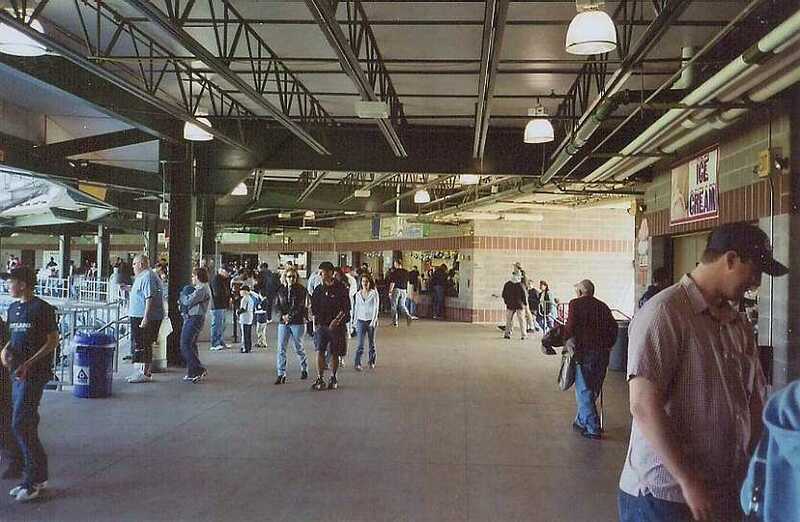 Concourse-level seating is also available. 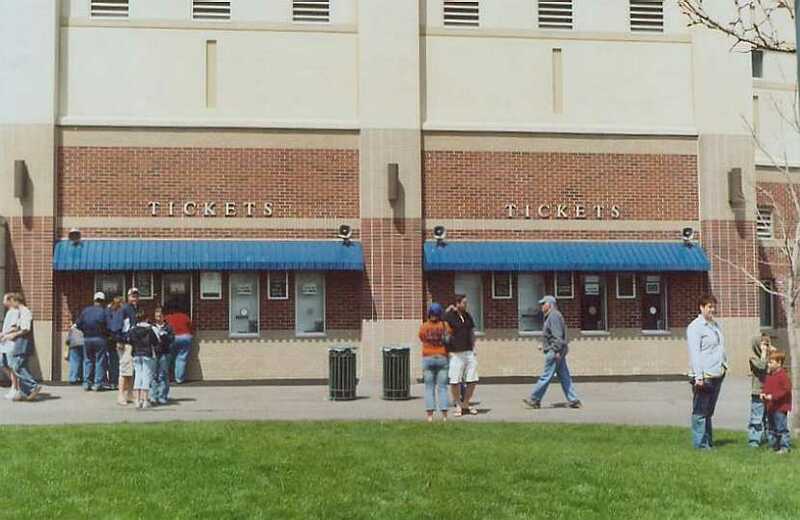 Two of the many concession windows. 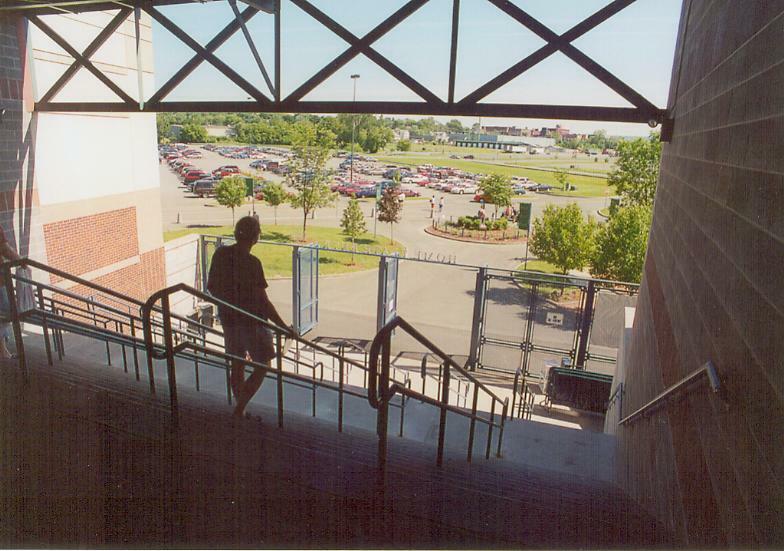 Exiting to the parking lot from the main gate entrance. 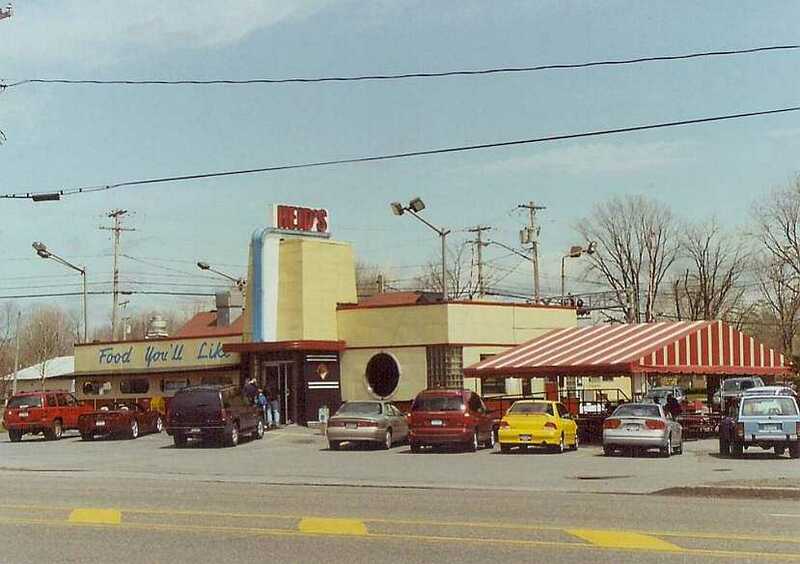 A must stop if you're in Syracuse - Heid's of Liverpool.